All the religions of the world that have a significant number of followers have one thing in common. The followers of these religions have their own sacred places and relics whom there revere to the utmost level and are submissive to their sanctity. In Islam also, there are Holy places, relics, and remains that are sacred to Muslims and are respected because of their religious importance. One of such relics that enjoys equal respect and reverence among all the Muslims is the Hajre Aswad or commonly known as ‘The Black Stone’. This post by QuranReading.com Academy today tries to cover the history of Hajre Aswad, the significance it has in Islam, and the expression of obedience of Muslims towards it. Hajre Aswad is a black stone that is engraved in the southeast wall of the Kabaah. There are different narrations that give a different account of the background of the stone and its placement in the wall of Kaabah. Regardless of the different narratives, the importance and respect of the stone remains the same and it enjoys the same level of sanctity and sacredness in all the narratives. Out of the different narratives, the most significant and the most authentic one is the narrative of Hajre Aswad being a stone from Jannah that was installed in Kabaah by Hazrat Ibrahim (AS) and His son Hazrat Ismail (AS). According to the narration, when Hazrat Ibrahim (AS) and His son started construction of Kabah on the order of Allah Almighty as a place of worship and sanctity, they were a stone short in the building of the walls. Thus, upon this Hazrat Ibrahim (AS) ordered His son to go and look for a stone that could fit in the gap in order to complete the construction of the holy place. Hazrat Ismail (AS) went in search of the stone, but after a while when He could not find any suitable rock. and came back to His father and saw that a rock was already placed in the empty space, upon which He asked His father about the stone, regarding which Hazrat Ibrahim replied that it was delivered to Him by Garbriel. Thus this narrative proves that Hajre Aswad is a heavenly stone. This hadith proves that Hajre Aswad is a stone that came from paradise, and it was originally in pure white state, which then started, turning black with the progression in the increasing sins of humankind. Besides the very fact that Hajre Aswad is a stone from Paradise, there are numerous hadiths of Prophet Muhammad (PBUH) that prove the sanctity and reverence of the stone and the kind of significance it has in Islam and for the Muslims. The lines below give a few of the hadiths of Prophet (PBUH) that point towards the importance and stature of Hajre Aswad in Islam and the way a Muslim should perceive it. 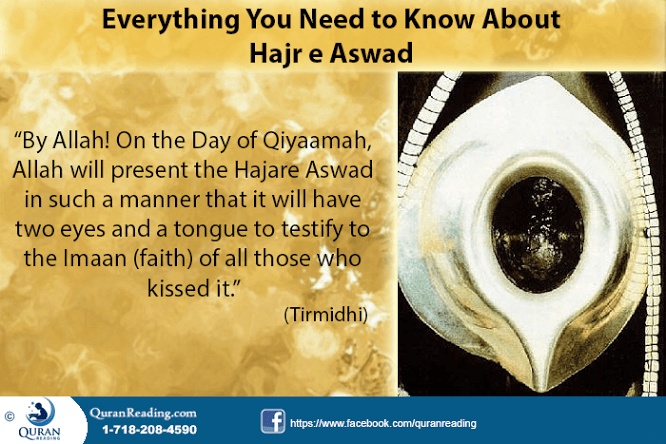 This hadith points towards the kissing of Hajre Aswad (the details of which will be covered in the latter part of the post) and how it will testify for the faith of people who have kissed it on the Judgment Day. Therefore, Hajre Aswad is not some ordinary stone and neither is the kissing of it as kissing some ordinary stone, rather it holds importance which will be exposed to the person on the Judgment Day. This hadith again testifies to the importance and significance of Hajre Aswad and as per this hadith, the stone and the place of Ibrahim (AS) are of the jewels of Heavens and they both are radiant in their nature, however, Allah Almighty has ceased their radiance so that the world could stay normal and the natural order should not be disturbed. One of the major acts done in reverence of Hajre Aswad is its kissing. Muslims in the form of kissing it exhibit the love and reverence for the stone. Moreover, besides the expression of love, this reverence is also a Sunnah of Prophet Muhammad (PBUH). Prophet Muhammad (PBUH) kissed Hajre Aswad during the Tawaf He did during Pilgrimage. Therefore, since then it has become a necessary element of Tawaf and Muslims kiss the stone after every single circumambulation of the Kaaba. Hence, in no way the kissing of Hajre Aswad is paying respect to the stone, rather it is done just in the remembrance of Prophet Muhammad (PBUH). Although the Muslims kissing the stone understand and know about the reason behind their kissing of it, however, people who are non-believers or those who have lack of knowledge about Islam have some misconceptions pertaining to the kissing of black stone. A few of the major misconceptions and their baseness is discussed below. The first misconception is that although Muslims believe in oneness of God and forbid idolatry, yet the kissing of Hajre Aswad is a form of idolatry and thus Muslims covertly commit idolatry by kissing the stone. The simple answer to this misconception is that Muslims do not commit idolatry by kissing the stone as they have no intention of gaining any benefit from the stone and neither can it harm them, the kissing is merely out of respect of the tradition of Prophet Muhammad (PBUH) who kissed the stone out of love. Regarding this misconception, the following saying of Hazrat Umar (RA) stands as the best refuting argument, when after kissing Hajre Aswad Umar (RA) said:“I know well that you are just a stone that can do neither good nor harm. Had I not seen the Prophet (PBUH) kiss you, I would not have done so.”This declaration of Hazrat Umar (RA) shows the basic ideology of Muslims pertaining to the kissing of stone, therefore, the notion that kissing the stone is idolatry is a misconception with no bases in Islam. The second misconception among non-knowledgeable masses is that they think that the stone is licked by the Muslims when they complete one circumambulation. This is wrong and Muslims only kiss the stone, moreover, the kiss can by either kissing the stone physically or symbolically by pointing towards it. Therefore, there is no licking involved in kissing of Hajre Aswad. If you ever plan to visit the Holy Place, you would surely want to Kiss the sacred stone. 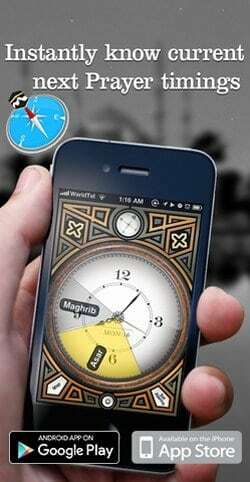 For that, you are suggested to know the process involved to successfully reach and kiss Hajr e Aswad. Concisely, Hajre Aswad is a thing of Paradise and the only reason why Muslims kiss it and give reverence to it is that Prophet Muhammad (PBUH) kissed it and held it reverend. Therefore, for a Muslim it is imperative to give respect to the stone but keep the thing in mind that it is Allah Almighty who needs to be worshiped and no stone can give either benefit or harm to any person.